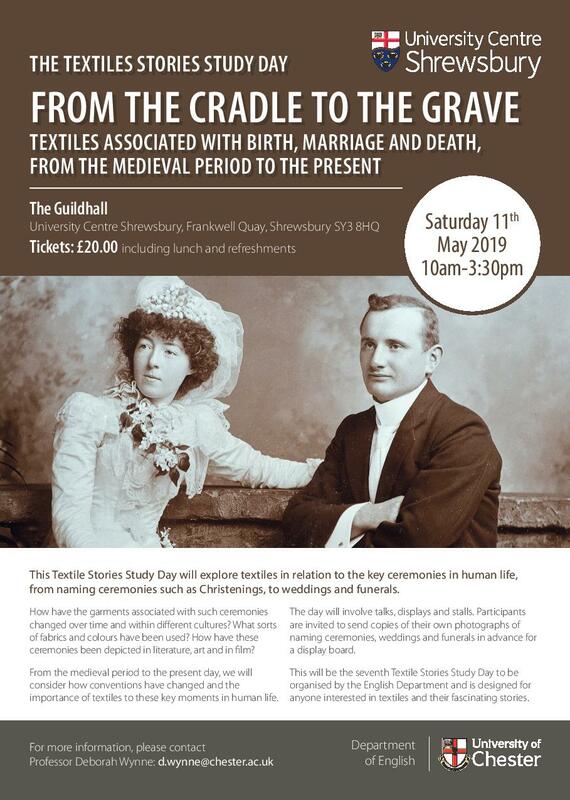 This Textile Stories Study Day will explore textiles in relation to the key ceremonies in human life, from naming ceremonies such as christenings, to weddings and funerals. 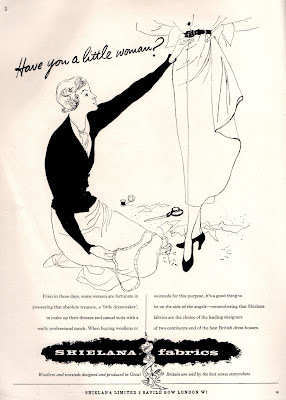 How have the garments associated with such ceremonies changed over time? What sorts of fabrics and colours have been used? 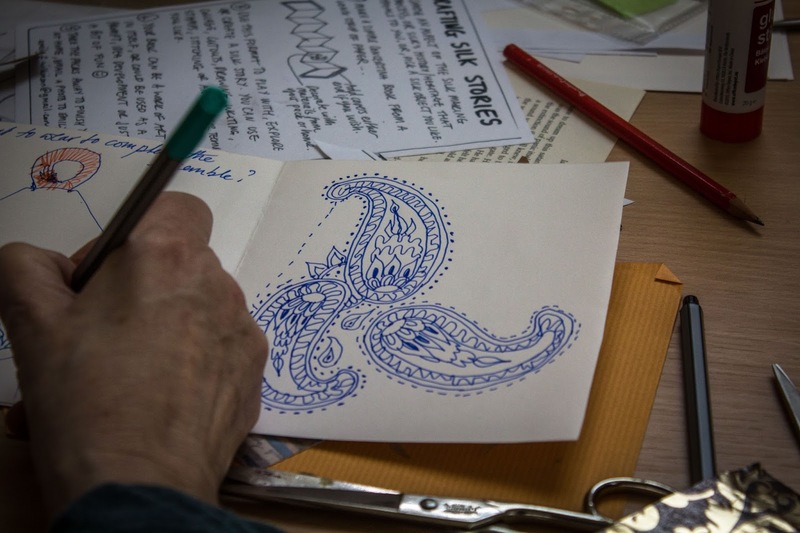 How have these ceremonies been depicted in literature, art and in film? 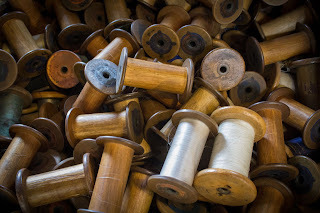 From the medieval period to the present day, we will consider how conventions have changed and them importance of textiles to these key moments in human life. 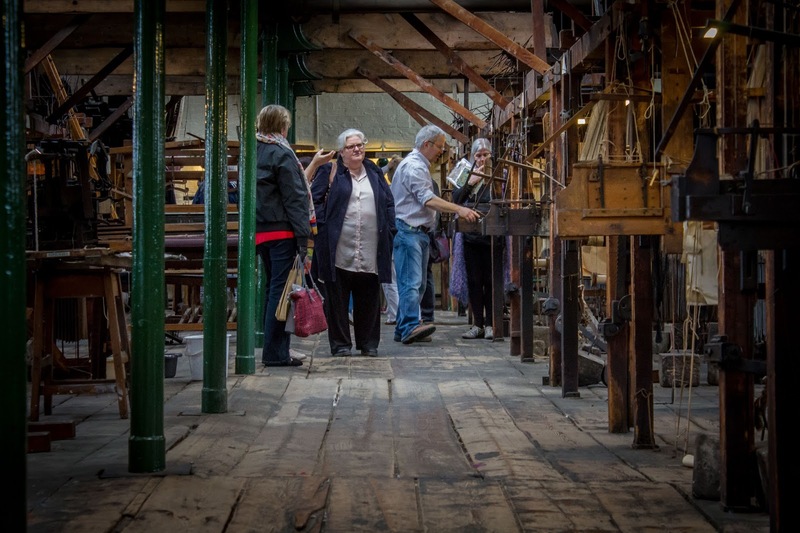 The day will involve talks, displays and stalls. 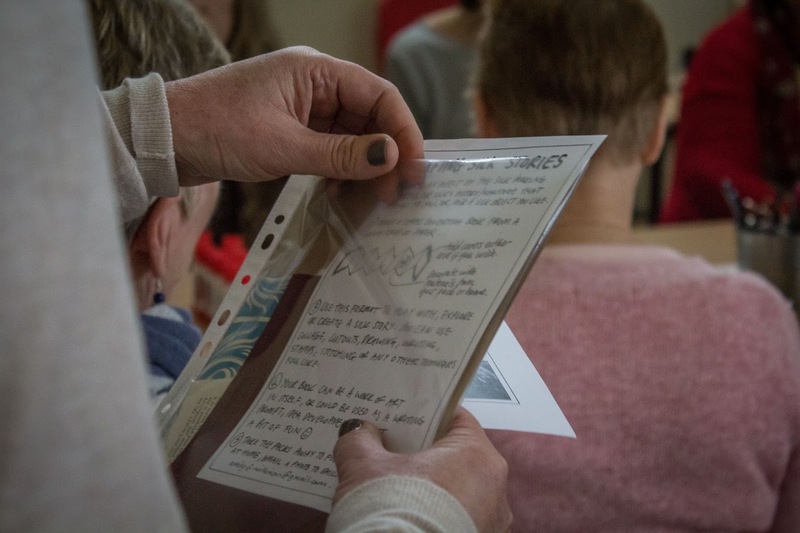 Participants are invited to send copies of their own photographs of naming ceremonies, weddings and funerals in advance for a display. Thelma Thompson, who keeps sheep under Wenlock Edge, had a wonderful stall full of information, and items to see, at the Textile Stories Study Day in April 2018 at University Centre Shrewsbury. 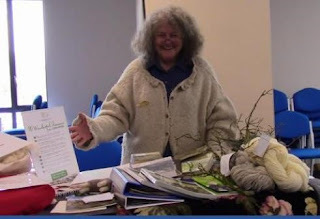 Among the items on sale were some skeins of wool from her flock of rare Badger Face Sheep. 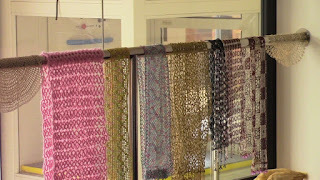 I decided to buy 3 skeins of the wool, despite the fact that I wasn't sure what I would knit with them. 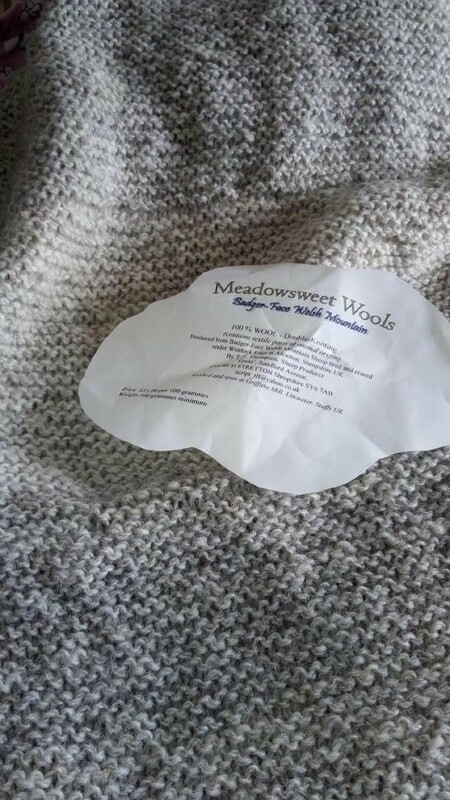 The wool arrived, beautifully packaged under Thelma's label 'Meadowsweet Wools', and was lovely to the touch. 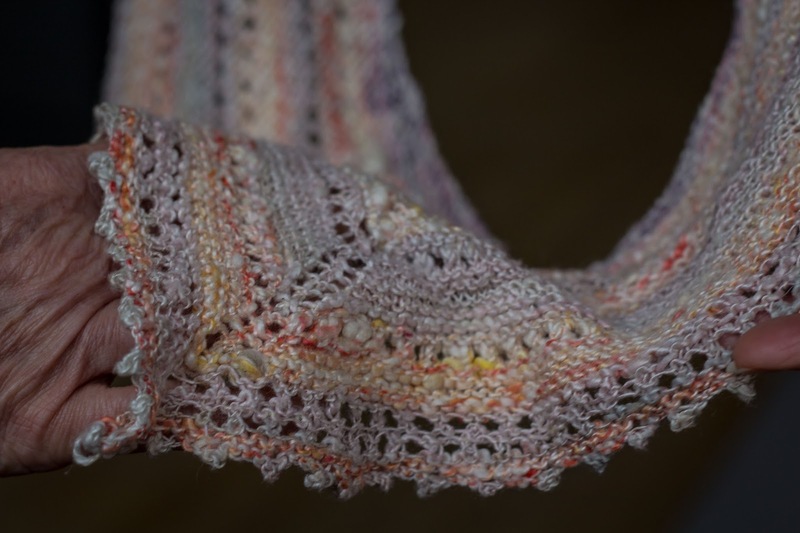 I was inspired, and decided to try my hand at knitting a shawl. 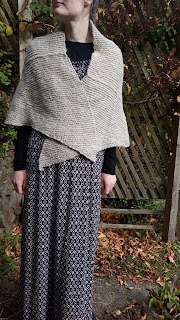 Having seen in costume dramas such as Larkrise to Candleford and North and South that the working women characters often wear homespun, home-knit shawls, I thought I would try to recreate one for myself. The problem was I had no pattern and couldn't find one to download on the internet. 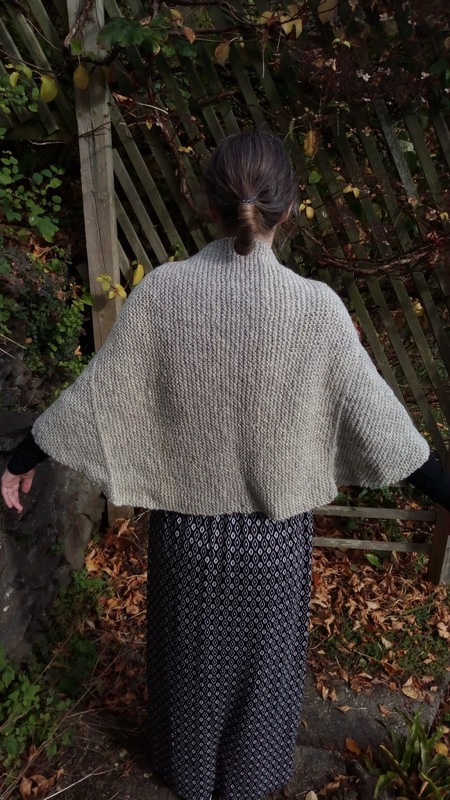 So I decided to improvise by knitting a large square and then create the tapered side panels later. 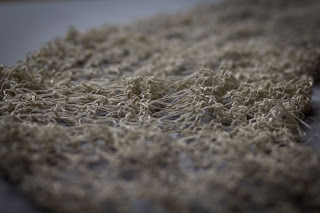 Recently I discovered the joys of moss stitch, but wondered if a more simple stich would bring out the texture of the wool more clearly. 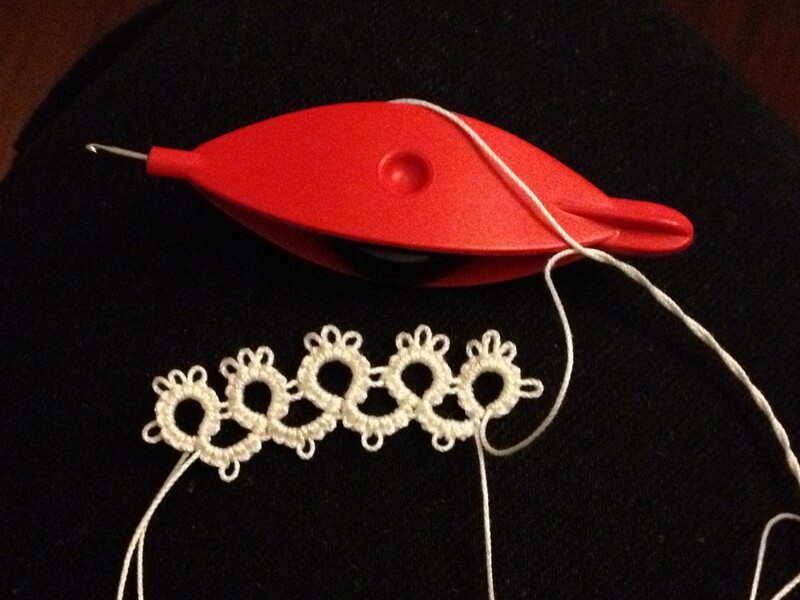 I decided in the end to use garter stich and am very pleased with the knobbly effect it produced. 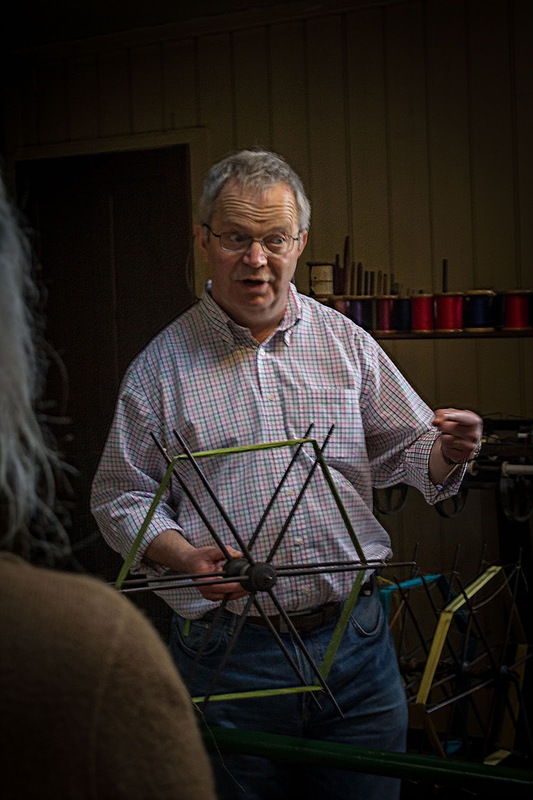 Once I had the square knitted, the measurements of which I had guessed, I began to work on the first tapered side piece, which was easy to do. 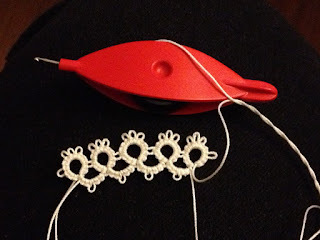 I simply kept one side straight and decreased a stitch at a time (firstly on every alternate row and later on every row) until I reached one stitch to cast off, and I had my pointed end. 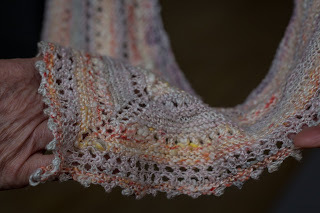 I repeated with the matching side until the shawl was completed. 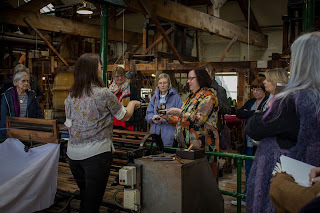 Wearing the shawl it became clear just how warm the wool is and why working women in the poorly heated homes of the nineteenth and early twentieth centuries needed their shawls. My shawl is now emerging from storage for the autumn and winter and I look forward to knitting something else with wool from Thelmas's flock. 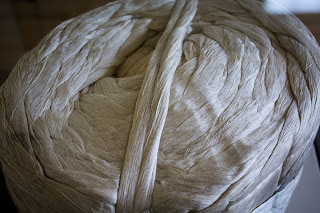 In fact, Thelma tells me she can supply me with white Welsh Mountain wool for my next project. 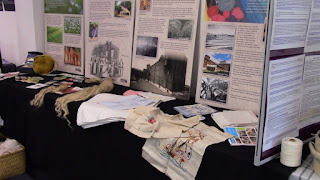 At Elizabeth Gaskell’s House in Manchester I took part in the ‘Women and Textiles’ study day on 5th May 2018 organised by the Gaskell Society. 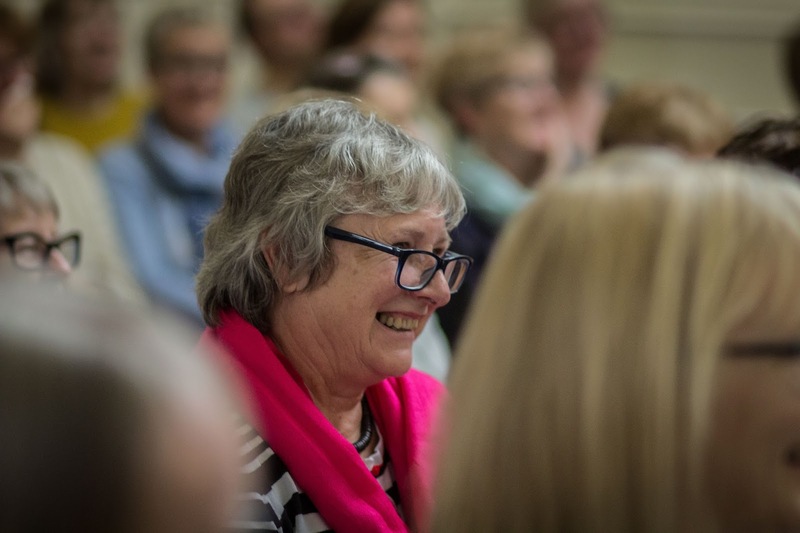 One of the speakers was Sarah Williamson, who gave a fascinating and witty talk about a project she led to reconstruct the ‘Brontë Quilt’. 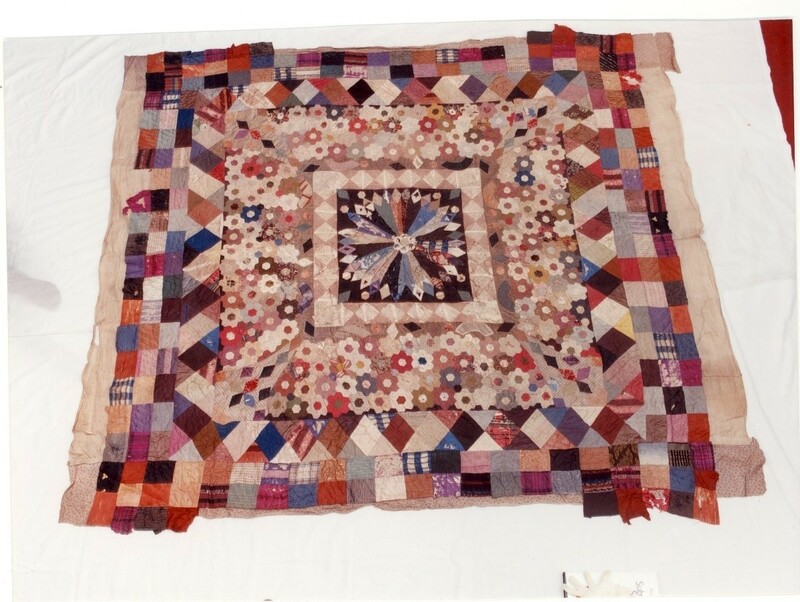 The original quilt, first discovered at an auction of Brontë memorabilia in 1898 and described as Lot 47: Unfinished patchwork counterpane, made by the Brontë sisters, is now in the Brontë Parsonage Museum, Haworth. Unfortunately its fragile state makes it impossible to display on a permanent basis. Sarah initiated the project to reconstruct this quilt following an email to the Quilters’ Guild in 2015 from the novelist Tracy Chevalier, who hoped to introduce a quilting theme into the 2016 bicentenary celebrations of Charlotte Brontë’s life, which she was helping to organise. 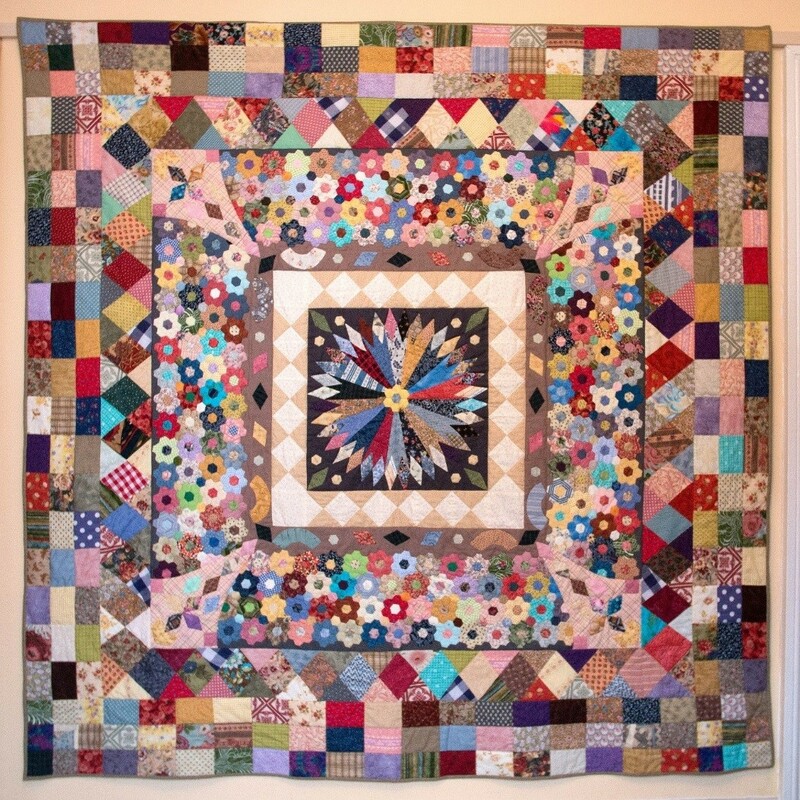 Sarah described the original quilt as about 6 ft square and made up of scraps many different fabrics. 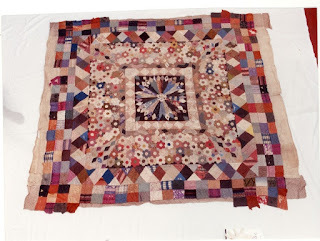 She offered an interesting account of the history of quilting in the eighteenth and nineteenth centuries and explained that the original quilt combined different techniques, both pieced and appliquéd. She showed us that the Brontë Quilt is quite eccentric in its design and is not in places expertly sewn. 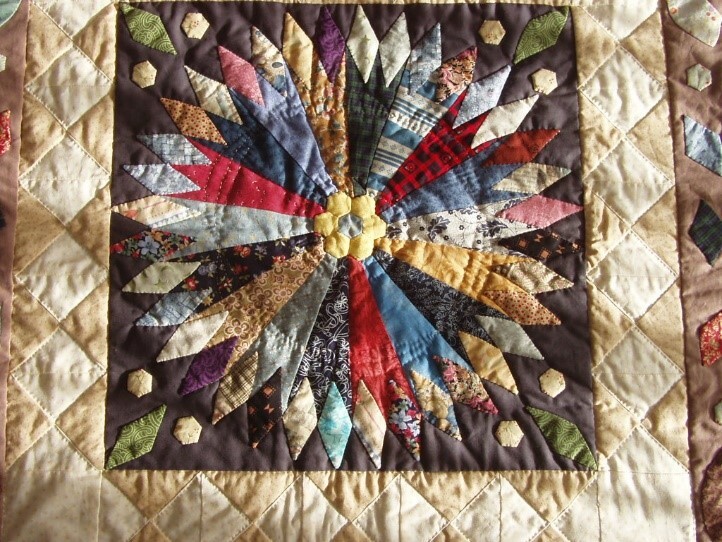 As a contrast, Sarah showed us a picture of a quilt made by Jane Austen, which is both expertly designed and sewn. 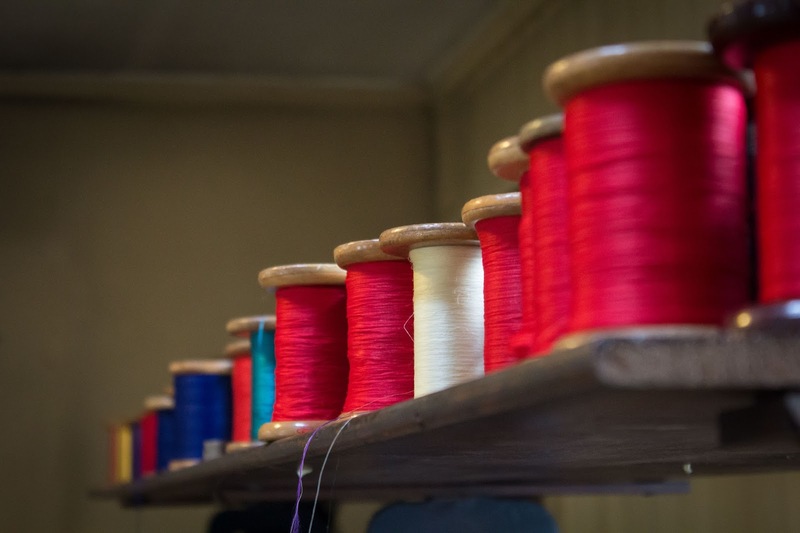 However, while Austen was a keen seamstress, it is well-known that the Brontë sisters were less enthusiastic about sewing, although Emily was likely to have been more interested than her sister Charlotte, who often complained in her letters about having to sew. 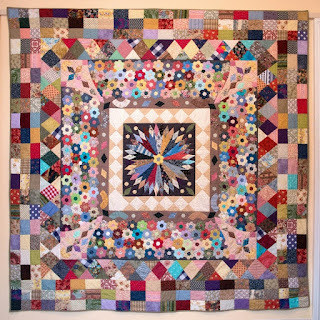 Nevertheless, the Brontë Quilt is an interesting design and helps to evoke the idea of the sisters collaborating on a sewing project while, perhaps, discussing their various literary projects. 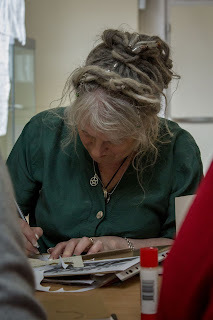 Sarah was enthusiastic about the idea of reconstructing the Brontë Quilt for Charlotte Brontë’s bicentenary in 2016, although she explained that she did not at first understand the enormity of the task ahead of her! Fortunately, her quilting friends Wendy Latham and Giselle Sutcliffe agreed to join her in reconstructing the quilt. 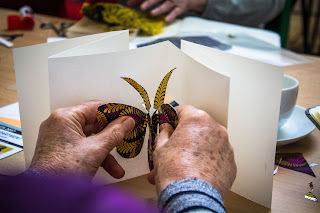 They collected scraps of fabric and set about the mammoth task of cutting out the many fabric shapes needed to match the original and then sewing them all together. 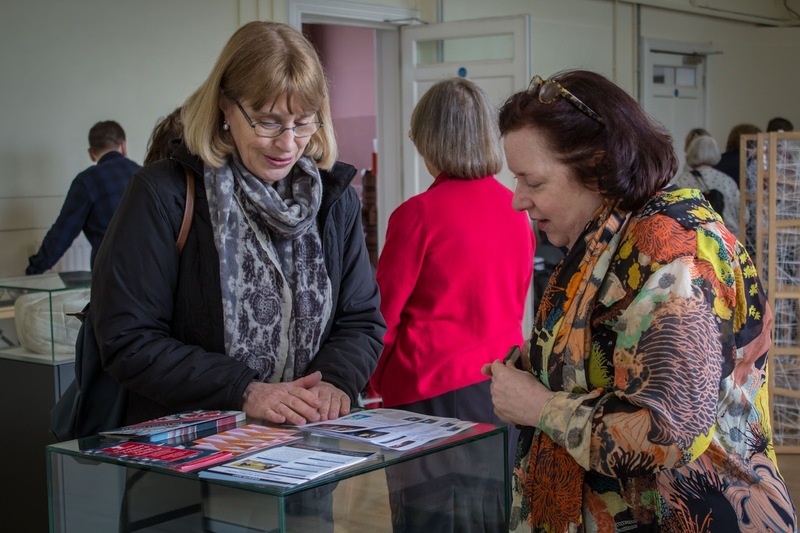 Sarah, Wendy and Giselle visited the Brontë Parsonage Museum to study the original quilt for themselves, which Sarah described as an ‘amazing experience’. 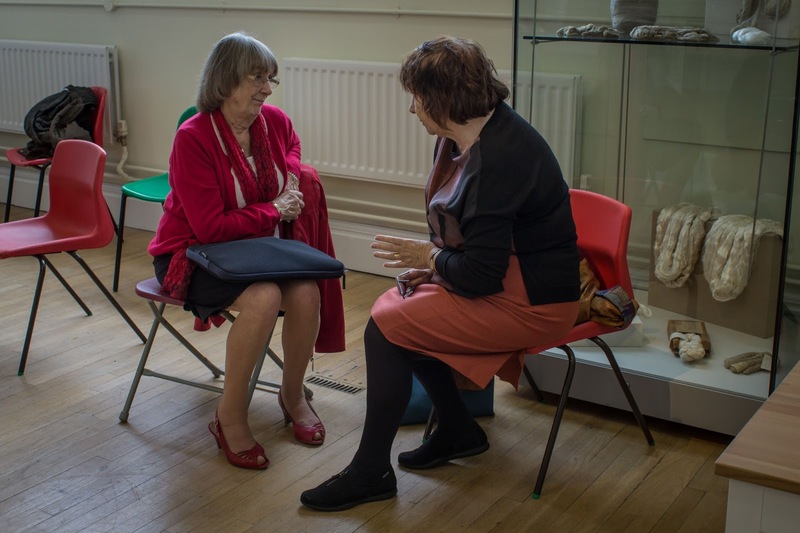 Ann Dinsdale, the Collections Manager of the Brontë Society and Brontë Parsonage Museum, kindly took the quilt out of storage. 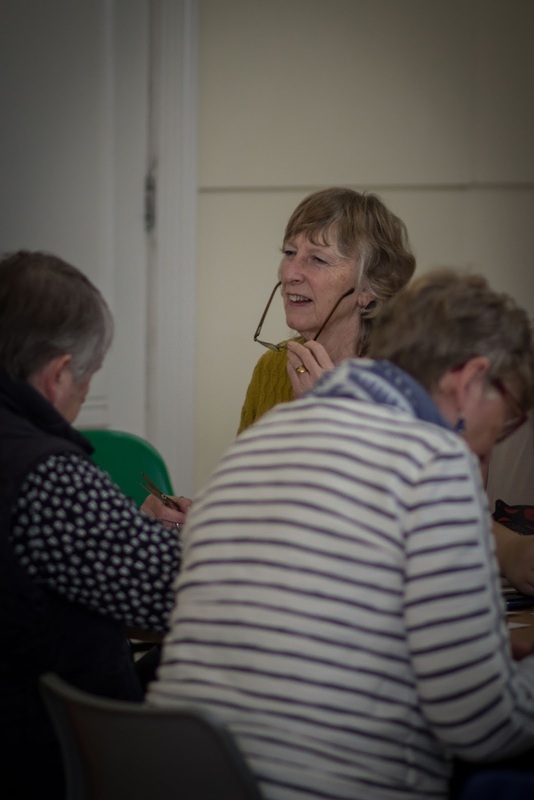 Sarah said, ‘I had prepared a list of things I wanted to measure or make notes of; even so there were lots of details I forgot to check. We were able to take loads of measurements and photographs, and I was relieved to find that my preliminary calculations were pretty close’. 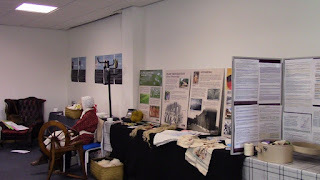 The reconstruction was on display at the Bankfield Museum in Halifax in 2016. 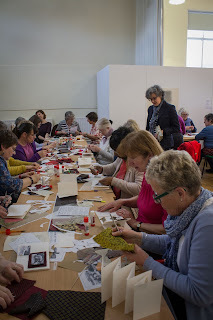 We were fortunate to be able to study it during the day in the Elizabeth Gaskell House, and there was admiration for the incredible skill which had gone into the making of this beautiful quilt. 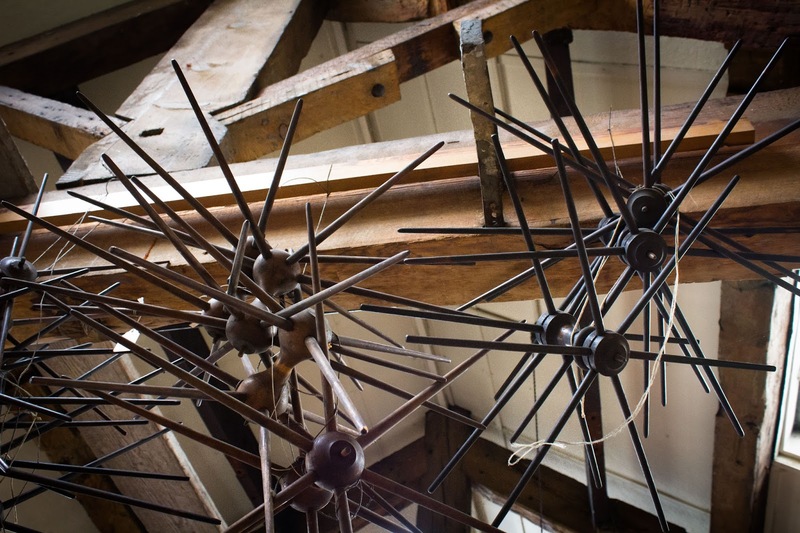 It has certainly captured the essence of the original, but unlike the fragile quilt in storage, the reconstruction has the advantage of being sturdy and capable of being displayed. 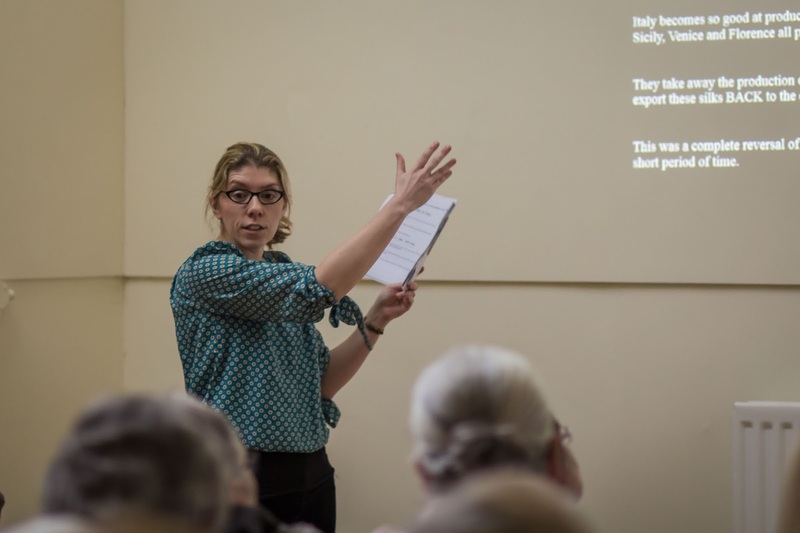 Indeed, it was presented to the Brontë Parsonage Museum on 16th May 2018 and will be on display on Patrick Brontë’s bed for the rest of the year. 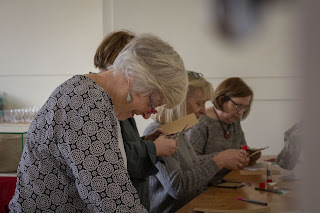 I would like to thank Sarah and her fellow quilters, Wendy and Giselle, for allowing me to share their story here, along with the photographs of the original and the 2016 Brontë Quilt. 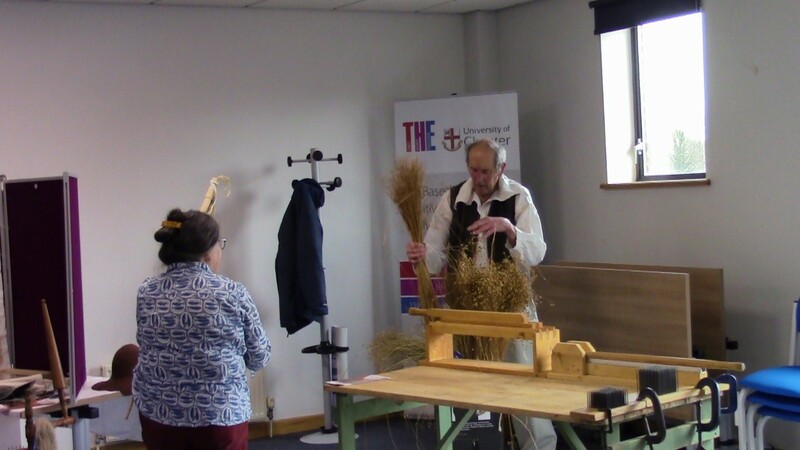 The sixth textile study day, organized by Professor Deborah Wynne, took place on 14th April 2018 at the Guildhall, University Centre Shrewsbury. 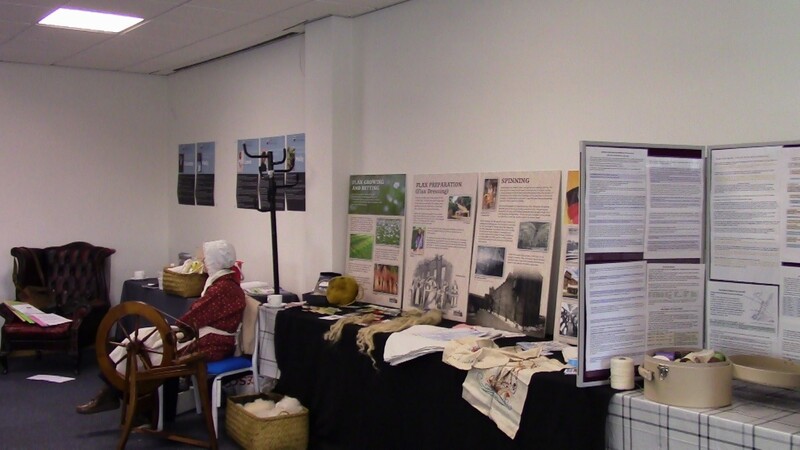 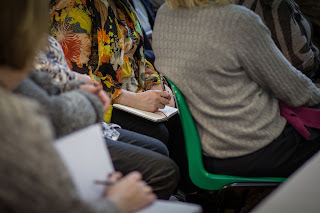 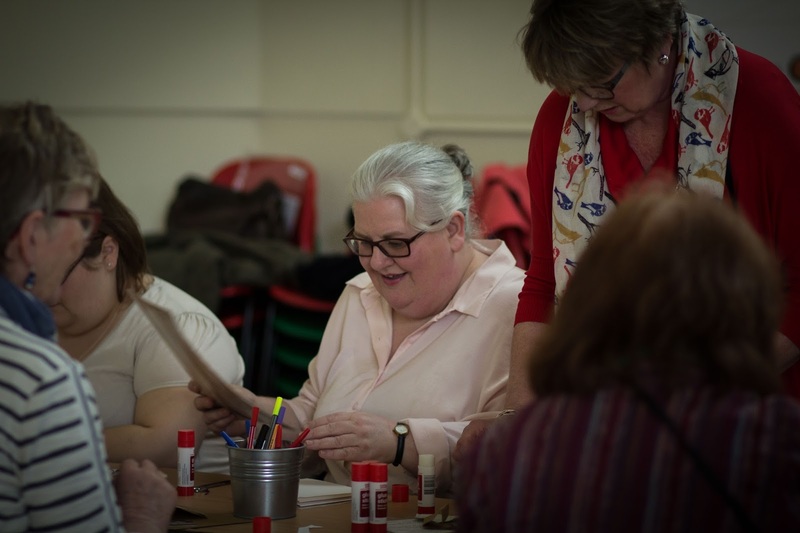 The focus this year was on textile work and workers and the topics discussed ranged from the conditions in a Shropshire flax mill in the eighteenth and nineteenth centuries to home dressmaking to the traditional smocks worn by rural workers. 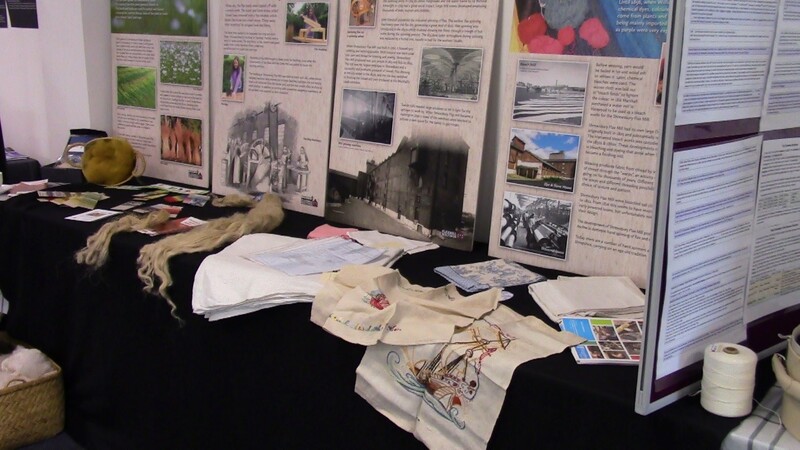 The event was organized in conjunction with the Friends of the Flax Mill Maltings at Ditherington in Shrewsbury. 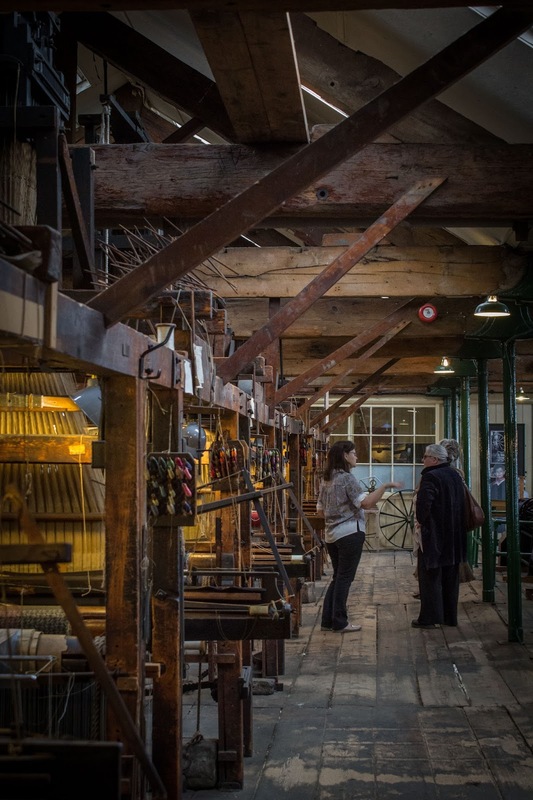 The mill was established as a heritage site in 2015 and is supported by Historic England. 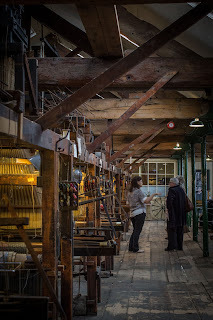 Shrewsbury was once an important centre for the production of flax, which was woven into linen, and the mill a Ditherington was designed in the late eighteenth century as an innovative fireproof structure which became an influential model for the design of factories. 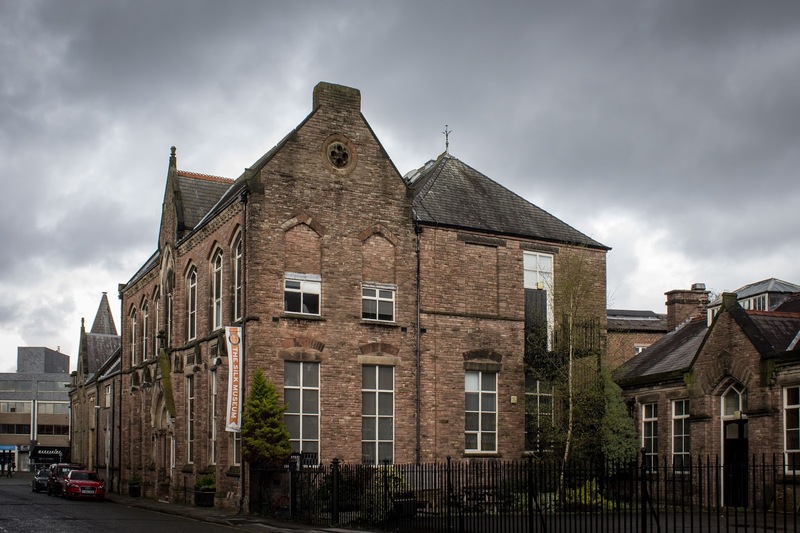 Our first talk was presented by Maralyn Hepworth and Penny Ward, both of whom were instrumental in the project to reclaim the derelict flax mill and convert it into a heritage site. 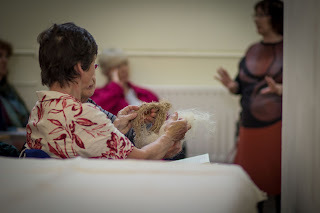 Their talk, 'From Flax to Fabric: The People of Shrewsbury Flax Mill', discussed how flax was grown and processed, and the lives of workers at the Shrewsbury flax mill. 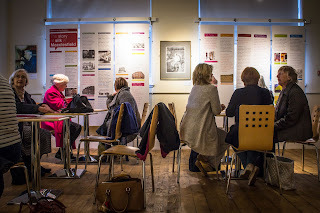 Using archival evidence from Shropshire Archives, Penny and Maralyn focused on some individual workers' lives, showing how men, women and children fared, with some success stories as well as bleak accounts of child exploitation. The joint talk was full of interest and particularly helpful in highlighting why the mill needs to be preserved. The Friends of the Flaxmill and Maltings created a wonderful display stand which indicated key apsects of the Mill's history. Spinners and 'hecklers' in nineteenth-century costumes showed how flax was traditionally processed and spun, using a traditional spinning wheel. 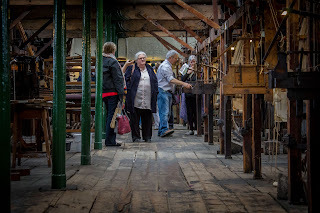 There were also beautiful pieces of linen to buy and an opportunity for participants to donate to the important work of the volunteers who are bringing the mill into a new phase of development as a significant heritage site. The next speaker was Jane Thomas, who once taught needlework in a London comprehensive school, and now researches many aspects of needlecraft, from smocks to buttons. 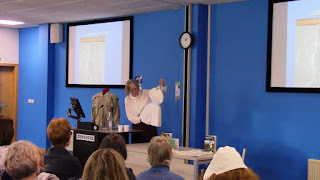 Her interesting and informative talk, 'Traditional Smocking: Workers and Clothing', was accompanied by a traditional smock she had recreated from an old pattern, displayed on a dressmaker's dummy. 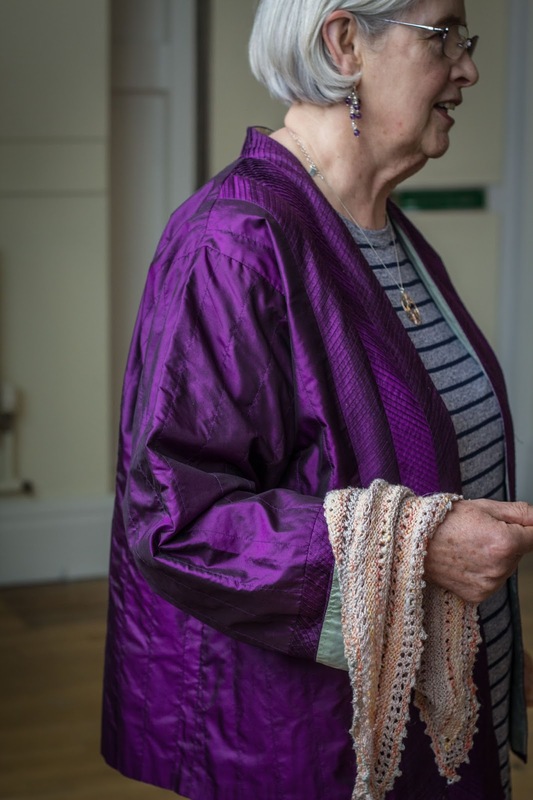 Jane explained that smocking was a traditional English rural craft which had thrived for centuries before the industrial revolution, only dying out in the early twentieth century. Agricultural workers wore smocks over their clothes to protect them. Incredibly strong and hard wearing linen garments, smocks were also beautifully decorated, often with symbols of the wearer's trade. 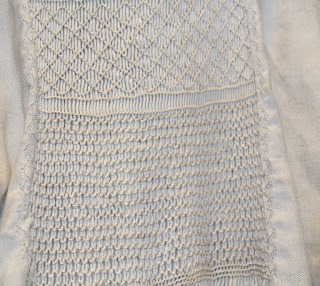 Jane also showed how smocking continued in different forms when working smocks were no longer worn. 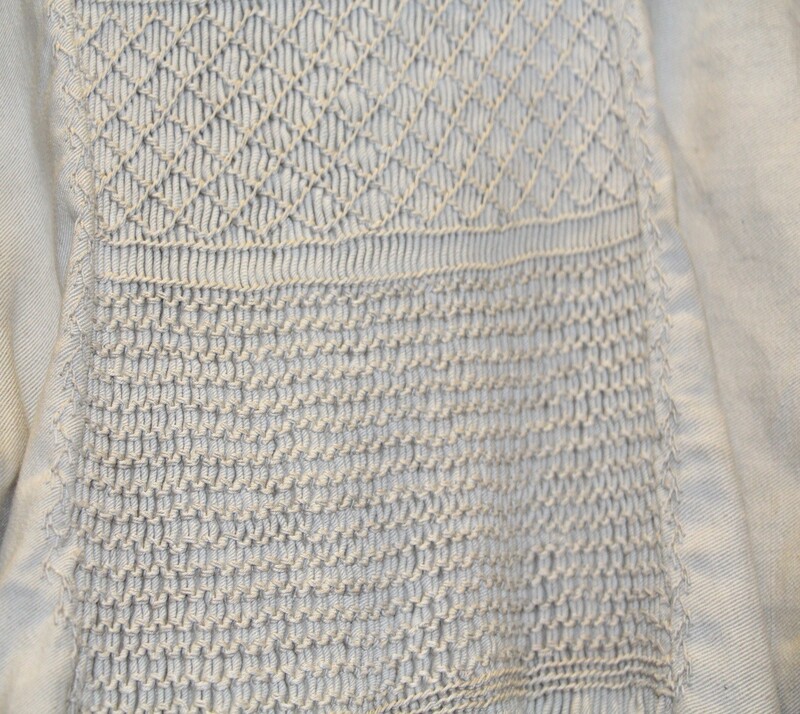 Smocking techniques are now incorporated into dresses, particularly children's clothing and craft products. 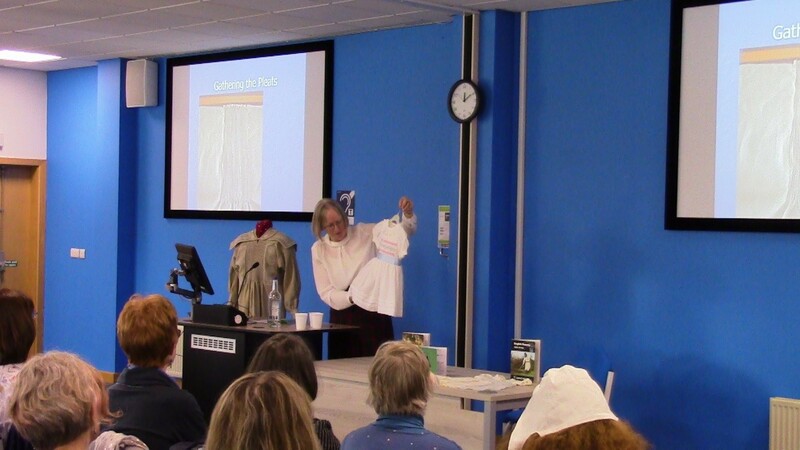 jane's smock was examined closely by people in the audience after her lively and informative talk. 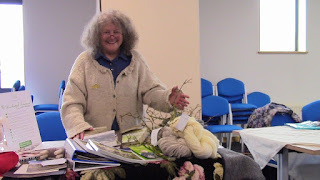 After a lovely lunch provided by the Shrewsbury catering outlet, Stop.café, we returned to the lecture room to browse through the displays and stalls, which included a lovely display of wool by Thelma Thompson, a sheep farmer from Wenlock Edge, Shropshire, and a display of historical artefacts by Sarah Thursfield, who researches traditional needlecrafts and the history of textiles. Tereshina WildColours displayed information about the natural dyes she makes and sells. 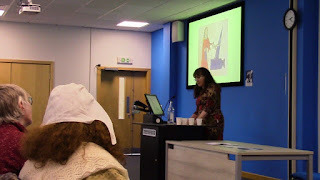 The next talk was given by Elaine Rowland, 'Good Men and Little Women: Gendered Roles in Clothing Production'. Elaine is currently working on an MRes dissertation at the Institute of Gender Studies, University of Chester. her project examines home dressmaking in the context of heritage clothing. 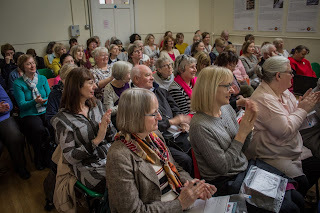 Her talk offered a fascinating history of the ways in which needlework had been gendered, with male tailors being perceived differently from female dressmakers. Elaine offered a lavishly illustrated talk which gave us insights into dressmaking and tailoring as crafts and professions which have long had complex gendered cultural dimensions. 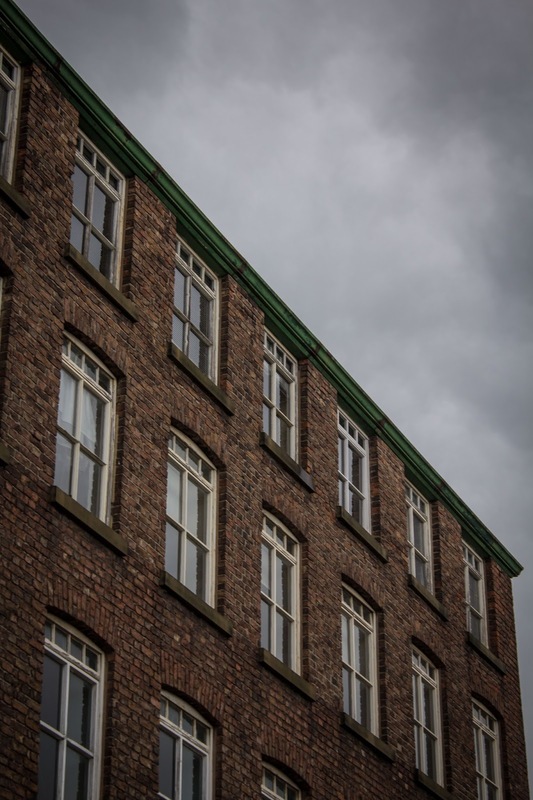 The final talk of the day, 'Cotton in the Nineteenth Century: From Southern U.S. Slavery to Manchester's Mill Workers', was delivered by Professor Deborah Wynne from the University of Chester and UCS. Deborah showed how cotton production and manufacture had helped to shape the modern world. 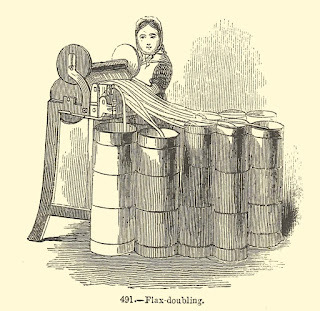 After a brief history of cotton production in Europe, she highlighted the links between slavery in the cotton plantations of America and the mass-production of cotton in Manchester. Deborah showed how two novels, North and South by the Manchester-based author Elizabeth Gaskell and The Quest of the Silver Fleece by W.E.B. 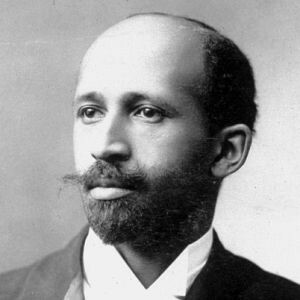 Du Bois, a black activist and writer based in the U.S. writing at the turn of the twentieth century, foregrounded cotton as a key component in worker's lives. She showed how novelists often explore themes and ideas which historians shy away from as 'unrealistic'. 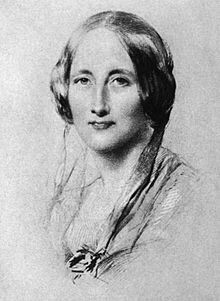 Both Gaskell and Du Bois, she suggested, imagine utopian alternatives for exploited workers which help their readers consider new ways of thinking and acting. 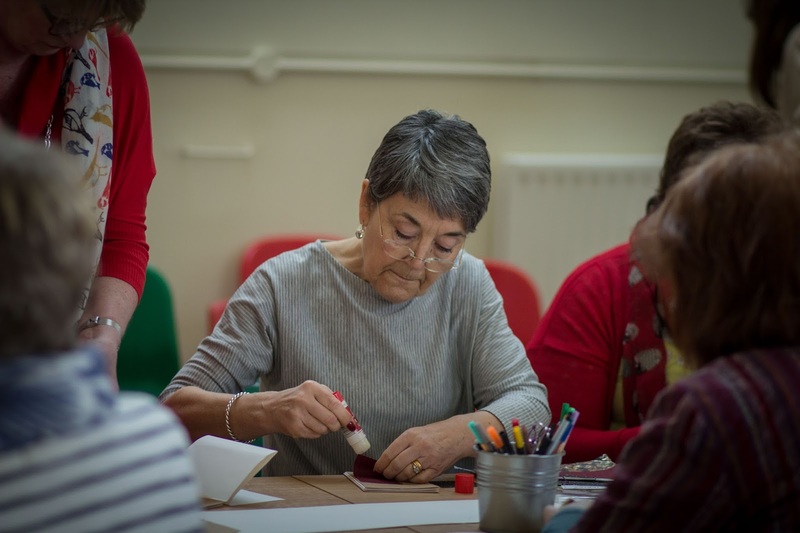 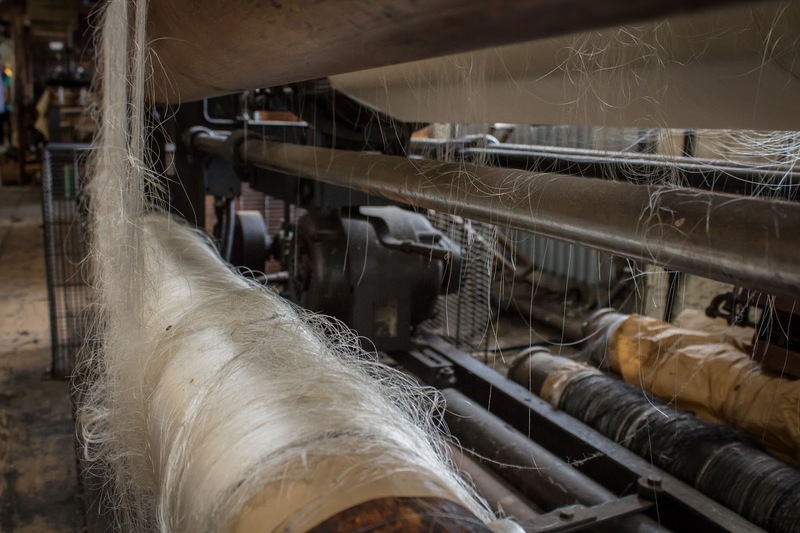 This Textile Stories Study Day, in collaboration with the Friends of the Flaxmill Maltings Visitor Centre in Shrewsbury, will explore textiles in relation to work, working people and working practices. There will be talks, displays and demonstrations which will examine textiles from many different angles. From smocks, to tatting, to workers' experiences in the Flax Mill, to the cotton mills of Manchester, the event will examine many of the interesting ideas and histories associated with working with fabric. This will be the sixth Textile Stories Study Day to be organised by the English Department, University Chester and is designed for anyone interested in textiles and their fascinating stories. 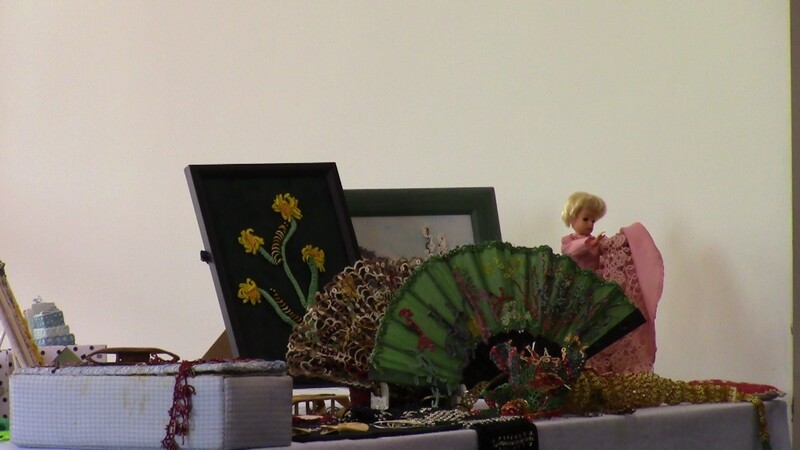 There will be a variety of stalls selling textile products, along with demonstrations and informational areas. 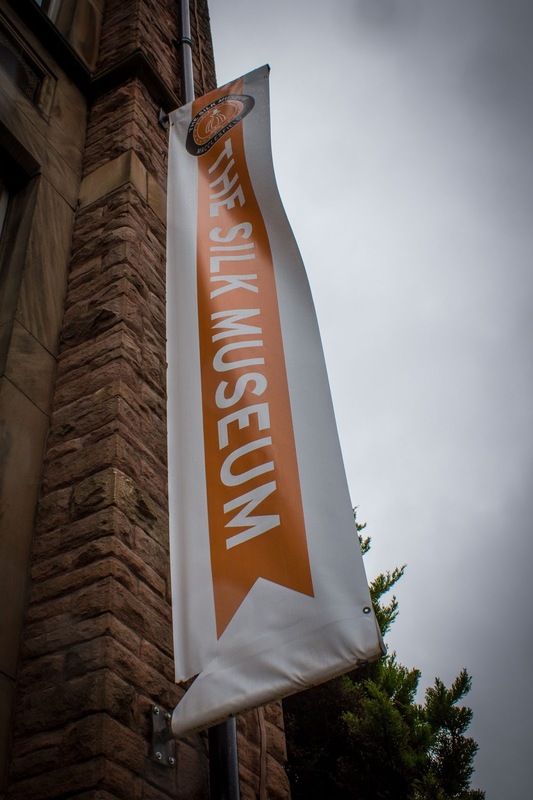 The Story of Silk: A Study Day at the Silk Museum, Macclesfield. 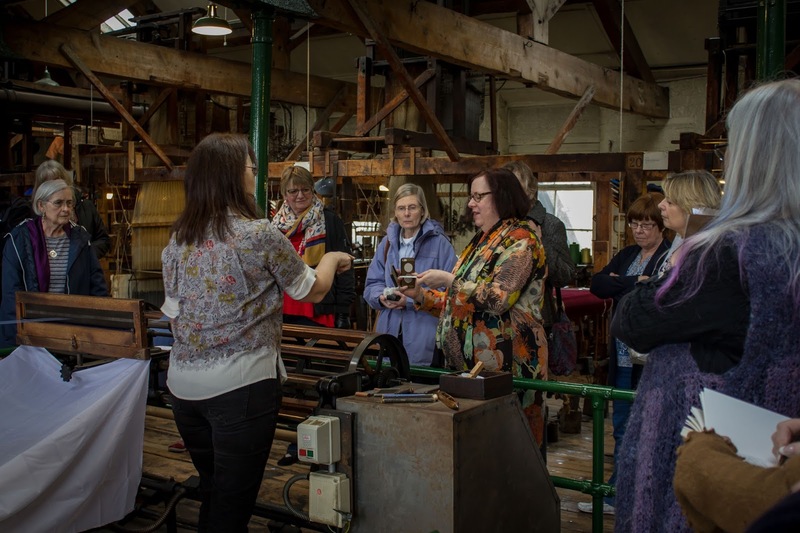 The fifth Textile Stories Study Day took place on 1st April 2017 at the Silk Museum, Macclesfield. The day focused on exploring the history, manufacture and uses of silk. The event started off with a lecture by Dr Katherine Wilson, Senior Lecturer in History at the University of Chester and an expert in European luxury fabrics of the late medieval period. 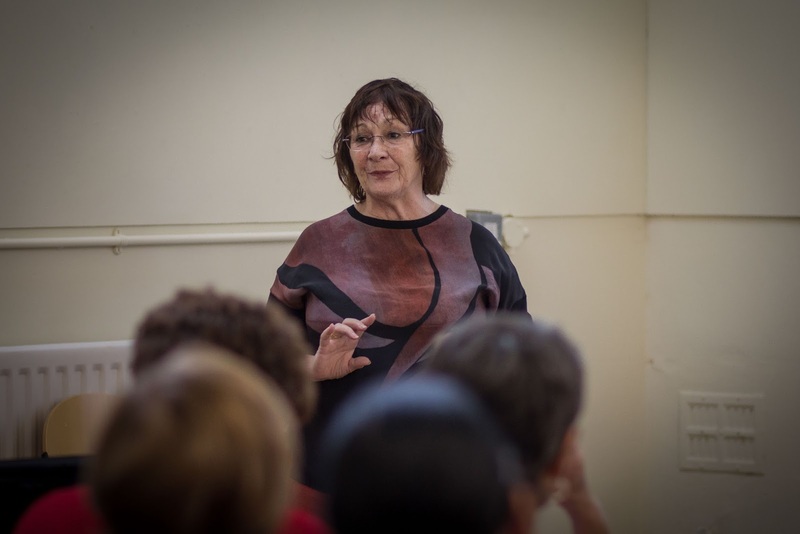 In a fascinating talk, titled Europe's Rich Fabric: The Growth of Luxury Textiles, Dr Wilson discussed the development of the silk trade in Italy, the Netherlands and France, and how it contributed to a consumer boom in luxury goods. Focusing on Dijon in France, she explained that an examination of the wills and inventories of shopkeepers and merchants showed that silk goods, and other luxury textiles, were widely owned and bequeathed after death. 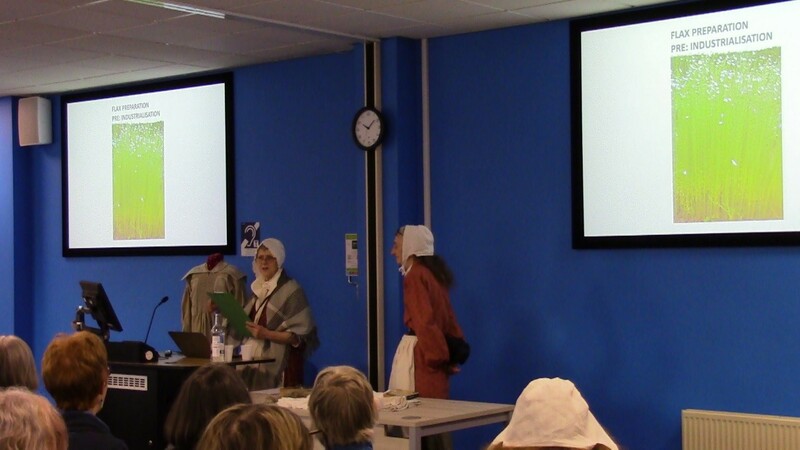 Her talk was wonderfully illustrated with images of beautifully decorated silken items, from cloaks to altar cloths. 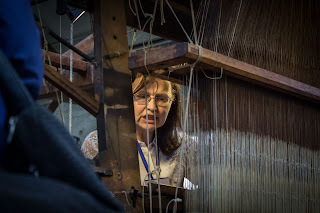 Following Katherine’s talk, participants were able to enjoy a guided tour of the silk museum’s facilities, which included viewing items from the collection which were not normally on display and seeing the looms in action. 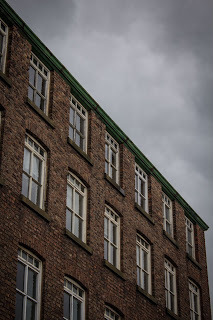 It was possible to get a sense of how the workers at the silk mill must have felt as they worked the machinery in rather cramped and noisy conditions. A practical session was offered in the form of a creative workshop, Crafting Silk Stories. 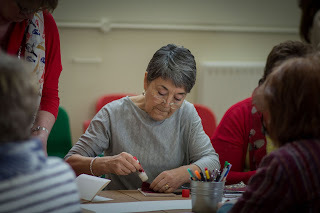 This was organised by Emily Wilkinson, an artist and poet who takes her inspiration from the natural world and textiles. 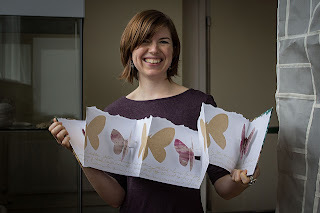 Emily encouraged participants to create books based on their personal responses to and ideas about silk. 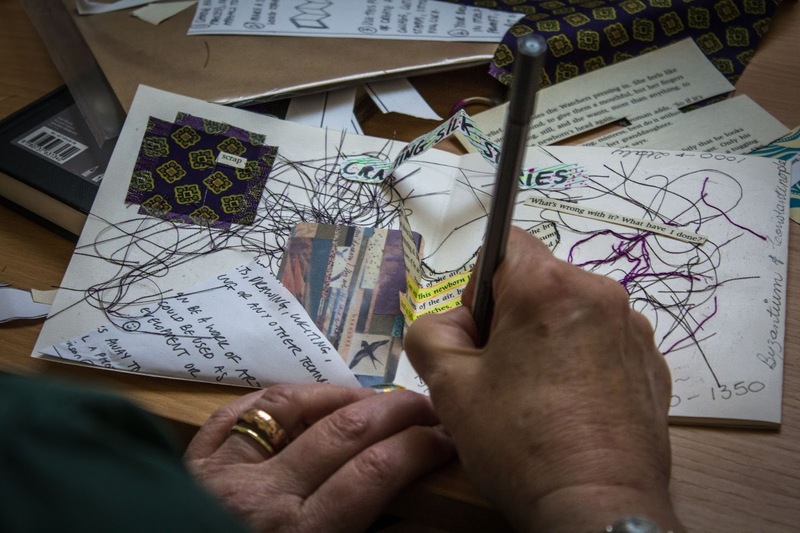 Using text, images and scraps of fabric, people created some fascinating small books to take home and keep. The final talk of the day, Taming the Wild': Thomas Wardle's transformation of the wild silks of India was given by Dr Brenda King, Chair of the Textile Society. She spoke about Thomas Wardle, a local silk manufacturer whose experiments with natural dyes and Indian tussar silks prompted William Morris to travel to Leek to study with him. Dr King explained how problematic the dyeing of raw silk had been until Wardle found ways to use plants to produce silks in wonderful colours. 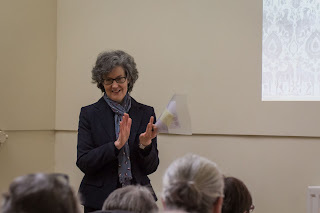 She also discussed the work of Wardle’s wife, Elizabeth, who taught embroidery and was responsible for many of the exquisite church textiles which were created as part of the Arts and Crafts Movement. Participants also brought beautiful examples of silk items with them, which were a joy to see, meanwhile the till was busy ringing as people bought books, scarves, ties, handkerchiefs and postcards in the Museum’s gift shop. Deborah Wynne, Professor of English at the University of Chester and Sue Hughes, Director of the Silk Museum, collaborated on the organisation of this event. They would like to thank Jan Gibson for taking the photographs and Brenda Rewhorn for helping with the workshop. 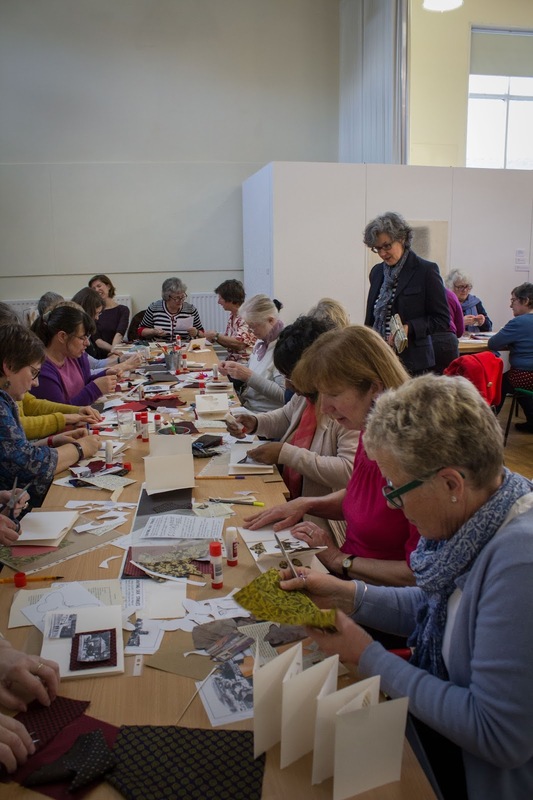 Our next study day will focus on textiles and working people and will take place in April 2018 in Shrewsbury. 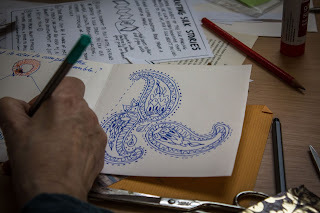 More details will follow in the near future.